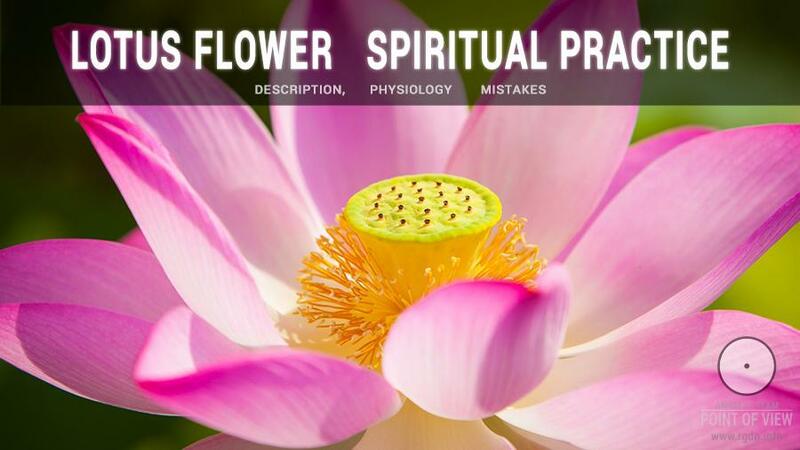 Description of performance technique, physiological peculiarities and possible mistakes during the Lotus Flower spiritual practice has been taken from the primary source: Sensei of Shambala (Book I) and Birds and a Stone books by Anastasia Novykh. The description is taken from the literary text word by word. “Why, do we really think of negative things all the time?” Ruslan asked. “Of course,” Sensei answered. “Just follow your thoughts carefully. People spend a lot of time on visualization of different conflict situations, negative memories of the past, imagine how they quarrel, prove something to somebody, deceive or hit back; they recall their illnesses, material deprivations and so on. This means they always keep plenty of negative thoughts in their mind. “And how much time does it take it to grow it?” I asked. “This depends on each person. Some people need years, others just months, or days, or even seconds. Everything depends on your desire and efforts. It is necessary not just to grow this flower, but also to support it all the time with the power of your Love, so that it would not wilt or die. This permanent feeling of flower growing is to be held at the level of the subconscious or, to be more precise, at the level of controllable remote consciousness. The more you give Love to this little flower, cherish it in your mind, take care of it, protect it from surrounding negative ­influence, the more it grows. This flower is nourished by the energy of Love, I emphasize, with the inner energy of Love. And the more you feel Love towards the whole world, towards all people and everything around, the bigger the flower becomes. At that, if you start getting angry, the flower weakens; if you break in rage, it wilts and becomes ill. In such case it’s necessary to make every effort to restore it. This is a sort of control. “Is this somehow felt at the physical level?” Eugene asked. “Yes. The Lotus may be felt as a special burning in the solar plexus area, a spreading heat. That is, such sensations arise in the solar plexus area, where, as legends say, our soul resides. That area starts getting warmer and warmer. The whole sense of all this is to feel this heat all the time, wherever you stay, with whomever you are, or whatever you do or think; and this heat warms not only your body, but you soul, too. Such internal concentration of Love is within the flower itself. Eventually, the more you take care of it, the more you glorify this Love, the further you feel how the flower is expanding, surrounding your body entirely with its petals, and you find yourself within a huge Lotus. And then there comes a very important point. Once you reach the stage when Lotus petals surround you from all the sides, you feel two flowers simultaneously. One is inside, under your heart and permanently warms you with the feeling of inner Love, while the other one, the bigger, is like an astral shell of the flower that surrounds you and, on one hand, radiates vibration of Love to the world and, on the other hand, protects you from negative influence of other people. Hence, the cause-and-effect law operates. Speaking in the language of physics, a wave effect takes place. More simply, you emanate the waves of good, intensifying them many times through the soul and thus creating a blissful wave field. You feel this wave field all the time and support it with every fibre of your Love, whereas the field positively influences not just yourself, but also the world around as well. What happens owing to everyday performance of this practice? First of all, you always control your thoughts and learn to focus on positive things. Hence, you are automatically unable to wish anybody ill or to be bad. This practice should be performed every day and every second, and it’s intended for your entire lifetime. It’s a sort of a distraction method, since no one can fight against negative thoughts by force. Love cannot be compelled. Therefore you should distract your attention. If a negative or undesirable thought comes, you focus on your flower and start giving it your Love, i.e. you forget all negative things artificially. Or your switch your attention to something else, to something positive. But you must feel the flower all the time: when you go to bed, wake up, at night, during the day, whatever you do: studying, working, doing sports, etc. You feel how Love flares up inside, how currents of Love are moving in your chest and filling your whole body; how the flower starts heating the body from the inside with special warmth, the divine warmth of Love. And the more you give Love to the flower, the more you generate it within yourself. Permanently radiating such Love, you start seeing people from the standpoint of Love. That is, you tune yourself up to the frequency of good, which is the second, very important point. And good means success, luck, health. It means everything! You start feeling happier, which positively influences your psyche. You see, the central nervous system is the main regulator of the body vital activity. Therefore, first and foremost, this spiritual practice improves your health. Besides, your life becomes smoother as you start finding reconciliation with everybody. Nobody wants to quarrel with you, you are welcome everywhere. You won’t have big problems. Why? Because, even if something happens in your life, for life is life, you start perceiving such events in a completely different way than most people. You already have a new vision of life, which helps you develop the most optimal solution appropriate for a given situation, for Wisdom of life awakens in you. “And how is this aura felt around the body?” Stas asked. “Eventually, you see this vibration around yourself as a light glow. The air seems to become lighter and more transparent, while the world around becomes more intensive in its colours for your eyes. And the most fascinating thing is that people start noticing such transformation in you. There is a common expression: “a person glows”, “shines”. This actually means the glow of the wave field generated by the person’s Love. People around such person also start feeling that field. They are glad when this person is near, they start feeling joy and internal excitement. Many people are getting better. They feel better in his/her presence, even if they are very sick. Everybody is attracted to such person and open their hearts and souls to him/her. Hence, people feel Love. This is an open gate of Heart towards God. This is what all Great Souls told about and what Jesus meant when he said: “Let God into your heart”. 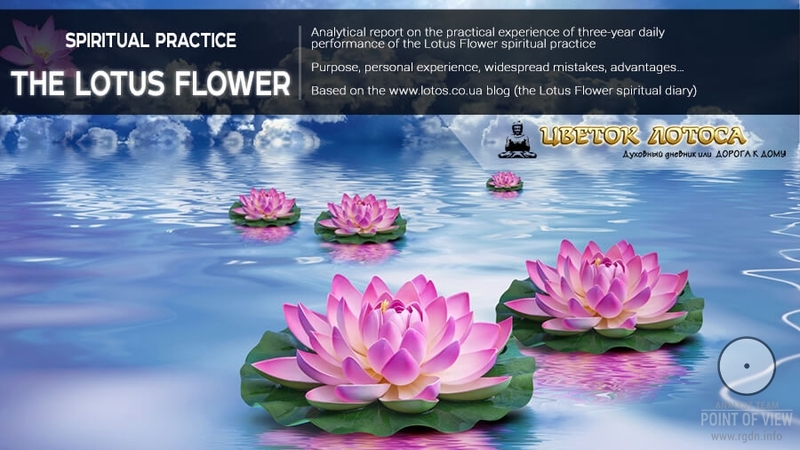 The Lotus Flower spiritual practice was applied from time immemorial. Since olden times, the Lotus was said to give birth to Gods. It’s been said God awakens in the Lotus, meaning that a divine substance (the soul) awakens in the Lotus Flower, in Harmony and Love inside, for you should always take care of your flower, permanently control your thoughts and feelings so that the Lotus Flower would not wilt. “So, does a real flower grow in there indeed?” Slava asked with surprise. “And what about the soul?” I asked. “Certainly. 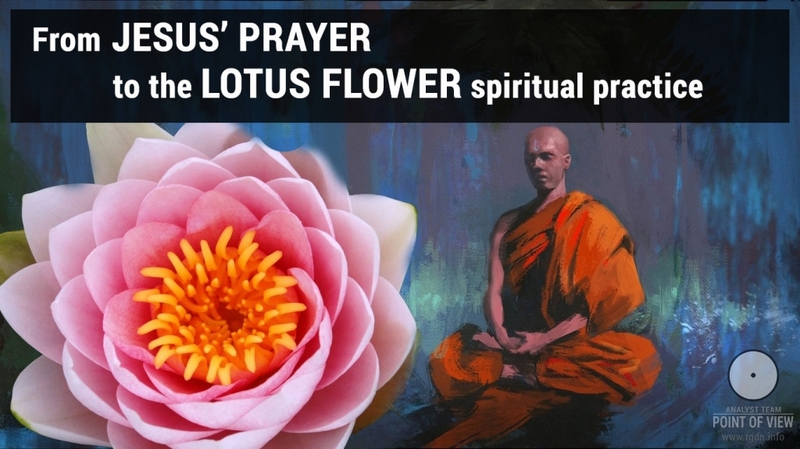 The fact that the Lotus Flower spiritual practice existed long time ago is proven by numerous ancient sources. For instance, the Lotus was given to some Pharaohs of Ancient Egypt. And, if you look into relevant literature, you will get convinced that Egyptian myths and legends say that even Ra, the Egyptian God of Sun, was born out of the lotus flower. This flower served as a throne for Isis, Horus, and Osiris. In ancient Vedas, the oldest Hindu books written in Sanskrit, the Lotus is one of central subjects, too. In particular, considering three main male incarnations of God: Brahma the Creator, Vishnu the Protector and Shiva the Destroyer, Vedas say the following: “From the body of God Vishnu, a giant golden Lotus appeared with Lotus-born Brahma the Creator on it. The golden thousand-petal lotus was growing, and the Universe followed its growth”. In China and India this flower still symbolizes purity and chastity. People associated the best human qualities and aspirations with lotus. The Chinese believe there is a lotus lake on a special “western heaven”, and every flower growing there is connected with the soul of a deceased person. If an individual was virtuous, his/her flower blossoms, otherwise the flower wilts. In Greece, the lotus is thought to be a plant devoted to Goddess Hera. Hercules made one of his voyages in a golden sunny lotus-shaped boat. However, all these are just legends and myths, though not so untruly invented. Such legends and myths were based on real facts of people’s self-development through this ancient spiritual practice. At that, earlier, when the animal nature prevailed in most people, the Lotus Flower was given only to selected, more or less spiritually mature individuals. And this is natural that other people regarded such individuals as Gods later on, for a person with a grown Lotus and awakened soul becomes really God-like as he/she can create in Love by his/her only thought. When the time came to spiritually educate the majority of people, Shambala Bodhisattvas gave this spiritual practice to Buddha. Owing to the Lotus practice, Siddhartha Gautama achieved enlightenment, sitting under the Bodhi tree. With Rigden’s permission, Buddha gave it to his disciples for further distribution among people. Unfortunately, people eventually distorted Buddha’s teaching and established a whole religion based on this practice. This resulted in the fact that today even Buddhists themselves imagine their paradise as an unusual place where people are born on the lotus flower like Gods. They are looking for such place, although it is always inside of them. They even turned Buddha into God, although he had been just a Human who had come to know the truth owing to this spiritual practice. Thus, the Lotus became a symbol of Buddhism, and there is even an expression: “Buddha sits in a lotus” or “Buddha stands in a lotus”. He showed people by his own example what an individual could achieve by overcoming his/her animal nature. He did a lot for spiritual development of the mankind, disseminating this spiritual practice among people in its original form. A similar prayer was given by Jesus Christ to awaken the divine Love. “Do you mean prayers and meditations are same things?” Tatyana asked. “Well, yes. The Jesus’ prayer ‘Our Farther’ is same as the spiritual practice, although it’s very simple, and people ask for bread, etc., but the main sense is the same: an individual develops himself, grows the soul by controlling his/her thoughts, with his/her sincere desire, firm Faith and Love. “So, does it mean we should just think about this flower with Love?” Andrew asked. “And, generally speaking, how does this look in reality? Tell us, please, one more time, especially for dummies”, Andrew asked jesting. “So, when the force field of good expands in you, you start to feel as if there are many layers of petals. You feel you are covered, protected, flourishing in the lotus. At the same time, you feel you are like the sun above the world, warming everything with the warmth of your boundless Love. “A usual phase of despondency ensued for Max, during which he again started to make futile attempts to grow the “flower” inside him. And, since he achieved no success, he ran to Sensei to “cry on his shoulder” and look anew for the answers to his inconsolable questions. “But why exactly in that area? Generally speaking, are there any explanations for this from a human physiology standpoint?” Max rushed into questioning. Sensei grinned almost inconspicuously. At that moment, Volodya joined them on the bench. And, since the supplementary class was nearly over, other guys caught up with him as well. “It may as well be explained from a human physiology standpoint, say at a very rough, primitive level,” Sensei responded. “Why is physiology a primitive level?” Max asked with his favourite jeer, feeling his person was in the centre of everyone’s attention. “I think so, too,” Stas, a tall athletic guy, uttered. His friend Eugene, being in no way inferior to him by his height and dimensions, half-rose from the bench and solemnly shook Stas’s and Volodya’s hands in jest. “Well, taking into account such collective intention, let’s do it,” Sensei gave up. “Let’s review one of the past lessons. So, all of you imagine what the solar plexus is.” He rested his gaze on Max who nodded in bewilderment having said neither yes nor no. “OK, I see. This plexus, otherwise called the celiac plexus, constitutes an aggregate of ganglions of various size and shape, conjunct between each other with a numerous connecting branches of manifold length and thickness. The plexus may be quite different by the number of nervous tubes approaching, by the number of ganglions forming it, and by the form of this mighty conglomeration. 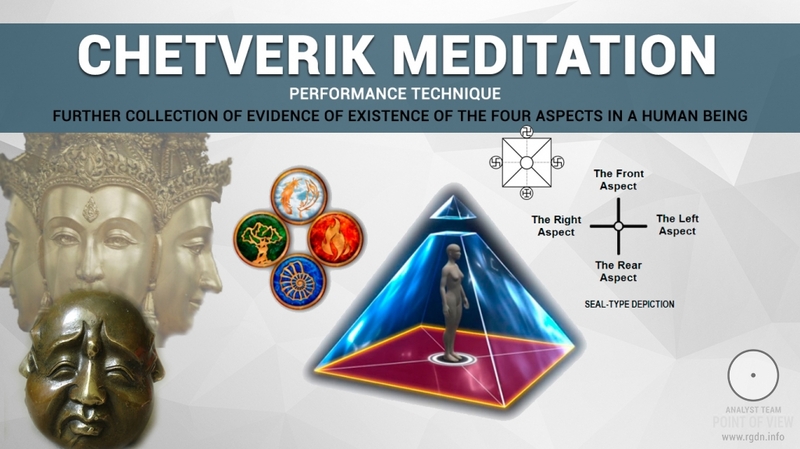 The solar plexus in its centre more resembles connected apexes of a triangle, while by its external form it most often looks like an uneven circle, because nerves radially diverge from the solar plexus extensively to the abdominal cavity organs like rays of sunlight. And, surely, there are plenty of nerve endings there. The solar plexus belongs to the largest vegetative plexuses. It is even called the “abdominal brain”. …Let’s now go back to the beginning. 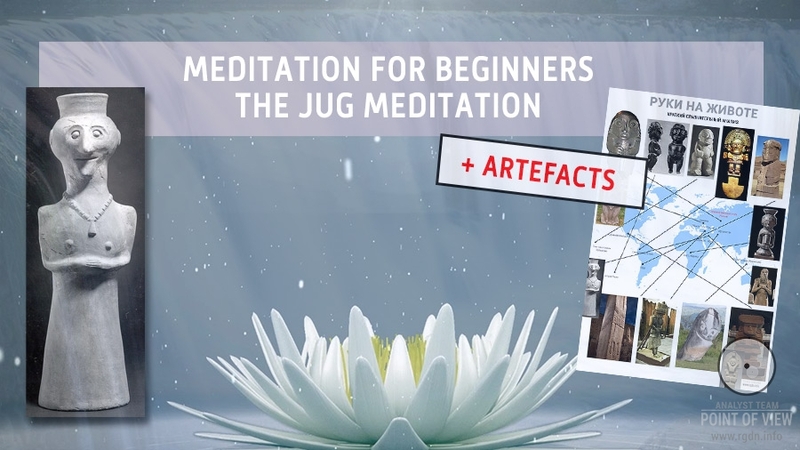 What happens when you’re performing the Lotus Flower spiritual practice? When irritation induced by concentration of positive feelings in the solar plexus area goes from the wandering nerve to hypothalamus, the nervous signals in turn go through both of these centres. At that, along with greater stimulation of agathodemon, there is also a less intensive stimulation of cacodemon. When the agathodemon centre is stimulated with such type of energy, more simply the energy of “Love”, a person feels bliss and all-embracing joy. “How could one break such vicious circle?” Max asked. “That’s the whole point! Human brain is attuned to the animal nature frequency from the very birth, although it’s the most primitive program of all brain abilities. The cacodemon centre is stimulated nearly all the time by a person who lives an ordinary life and does not participate in its spiritual nature evolution. Therefore, such individual stably possesses such elements as envy, anger, hatred, greediness, cupidity, jealousy, fear, egoism, etc. Some have them more expressed, others less. However, from day to day such people bite their own tail and suffer of this biting still more. They have extremely rare stimulation of agathodemon, mostly in the form of weak irritations of this centre and for very short periods of time. At that, such surges are subsequently overpowered by the more stimulated centre of cacodemon. “He was sitting in a car together with Sensei, waiting for a meeting with one man regarding Cassandra company issues. Max was enduring not the best days of his life, as it seemed to him. He was in a sombre mood because of all this everyday fuss. Max recalled how several days before he had given up the Lotus Flower practice again, explaining it to himself in such a way that the practice hadn’t amount to much for him. Moreover, he had plenty of issues at work which required urgent solution. At that, no matter how hard he tried to pay attention to and to resolve issues, the number of those didn’t decrease. Max turned dejected over again, and again started to think of restarting spiritual practices seriously... He raised this very topic in conversation with Sensei, using the opportunity to talk to him in private. “It’s a natural process,” Sensei responded. “Many people experience the same thing. At first, everyone feels a surge of spiritual agitation, say, an emotional upsurge and extraordinary comprehension of the divine nature depth. For many it seems so simple that they wonder why they haven’t understood such elementary things before. That is, a person is awaking spiritually. But... in a day or two a spiritual recession begins. The animal nature livens up. The person does not feel that agitation any more. Mean and dirty thoughts start attacking him or her, saying all spiritual is nonsense, trickery. The person begins to think that it’s all a marasmus, a stupidity, that he or she starts going crazy, to rave, nearly to have schizophrenia because he/she becomes different from others. Such person turns lazy to pray, to meditate, finding thousands of excuses that he/she is too tired or has no time... There arises a feeling of awkwardness, sometimes of a heavy guilt for the experienced moments of spiritual upsurge. Yet, towards whom the guilt is? Towards one’s own animal nature! Or certain problems begin pressing such person, some trouble happens. The person gets absorbed in that bustle. Hence, everything possible is being done in order to distract one’s attention from the spiritual. And, yielding to such provocations, the person simply loses the battle with his/her own animal nature and completely forgets what took place just couple days ago. “It’s difficult to maintain inner love inside oneself,” Max complained. “Yet, what do exactly I do wrong? I’m not totally hopeless, am I?” Max joked. Sensei looked at Max wearily.